Hey y’all! Are the holidays getting the best of you yet? 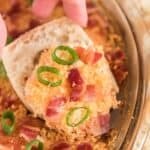 I’m about to taper back the blog activity for the next week or two to really enjoy the holidays with my family but I couldn’t do that without sharing one of my absolute favorite recipes with you so you too can enjoy it over the holidays! Oh, and I even made a video for you, I’d love to hear how you like it! 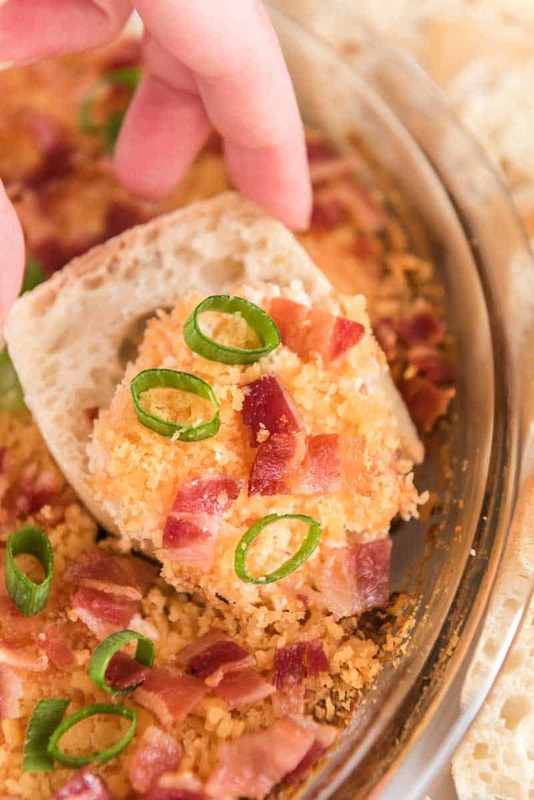 This lightened up version of classic Charleston Cheese Dip is perfect for entertaining! 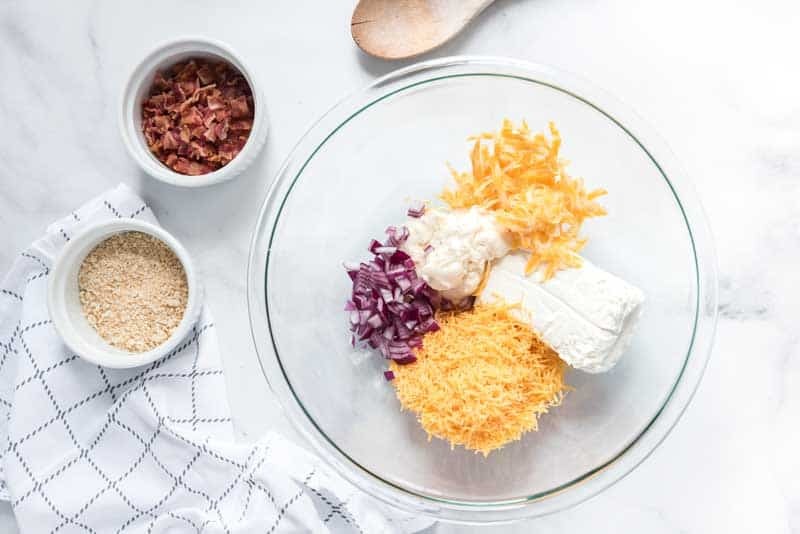 Combine cheeses, onion, and pepper in bowl and mix until combined. Spread mixture in 9″ pie pan and bake for 35 minutes or until golden. I hope you all have a fantastic holiday! !